March 31, 2016 – It’s no new revelation that Syracuse leads the nation in concentrated poverty for communities of color. The big question is: What is the community doing to address this? The answer may surprise you. SMNF has responded to the educational, social, cultural, health, employment, legal and recreational needs of low income residents of the City of Syracuse since 1975. Partnering with several local community organizations, funders and neighborhood residents, SMNF recently helped launch the Greater Syracuse HOPE Initiative (Healing, Opportunity, Prosperity and Empowerment) to engage community residents, and begin the process of understanding community assets and needs. Once a more detailed plan is created with the help of promised funding from NYS, real steps will be taken and progress will be tracked and reported. Central to the Initiative’s work is the belief that the effort must be led by those who best represent the neighborhoods and residents of Greater Syracuse. They are best suited to lend their insight toward addressing the on the ground issues in the community. 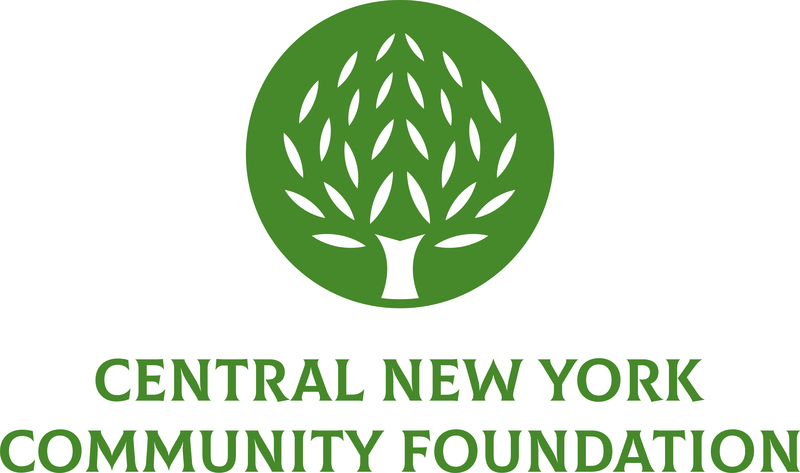 With the help of a $70,000 Community Foundation grant, SMNF received the necessary funding to support a two year salary for a Director of Program Development. The new staff member will assist with the operation of SMNF while also providing administrative capacity and support for the growing HOPE Initiative. The Director of Program Development will help HOPE participants energize the collective community to shine a light on the critical issues facing our community. The Initiative is bringing diverse residents and partners together to create ‘HOPE’ and new pathways of opportunity for community members transitioning from economically deprived situations. It will propel our entire community into an inclusively promising future. Aurora of Central New York received $12,600 to support the continuation of its low-cost hearing aid program for children with auditory impairments. Funding will allow the program to provide up to 18 hearing aids that are cost-prohibitive for many families. Whole Me received $19,600 to purchase furniture, computer equipment, and library materials to expand and improve the offerings of their after-school program as they move to their new James Street location. The equipment will contribute to increased opportunity for hands-on learning activities, literacy and communication skills trainings, counseling, as well as a kitchen and library. Onondaga Earth Corps received $17,000 to train a staff and crew training and purchase community event materials, postage, and bicycle trailers for use during an anti-litter event for 200 young children. The event will engage community members in anti-littering activities to promote a healthy local environment. Onondaga Lake Conservation Corps received $30,000 to support the second year of its coordinator position. The coordinator directly engages with at least 200 community members who will conduct direct, on-the-ground conservation action to restore, steward, and manage wetland and coastal habitat at Onondaga Lake and continue outreach and education programs and campaigns. These grants were awarded by the following field-of-interest funds, administered by the Community Foundation: J. Henry & Martha E. Deboer Fund, J. Daniel and Diane Pluff Fund, Dorothy R. Shoudy Memorial Hearing Impaired Fund, and the Spanfelner Fund.